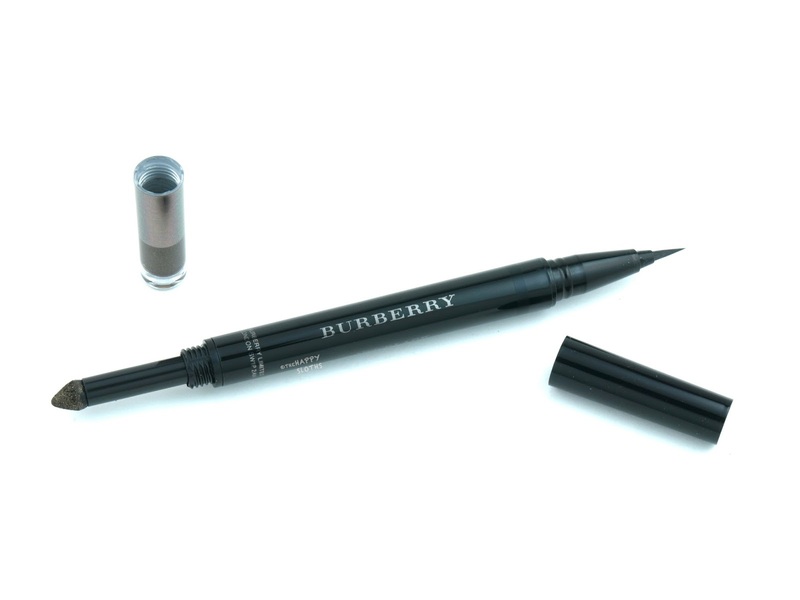 Unlike your ordinary liquid eyeliner, the Burberry Cat Eye Liner features a dual-ended design. 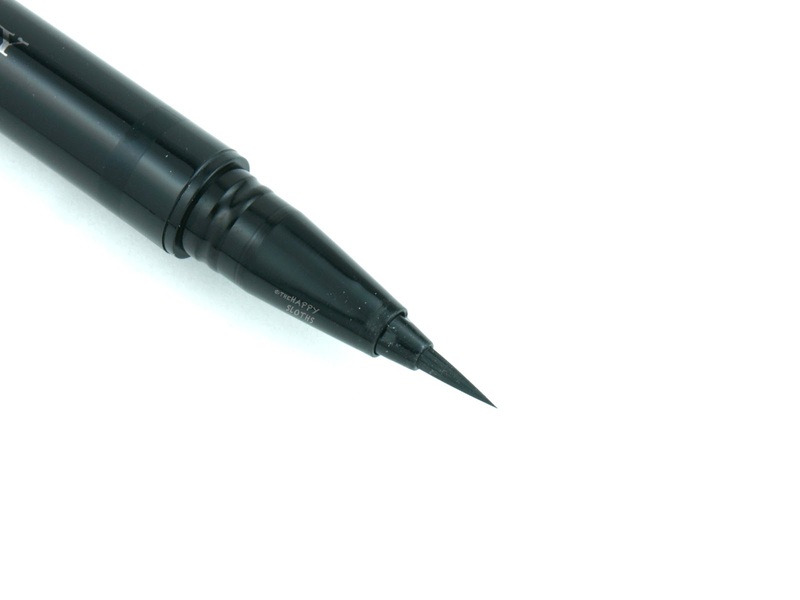 One one end, you get a liquid eyeliner (0.5ml) with a precise brush tip that's tapered to a very fine point; it does a really good job at achieving a sharp, elegant wing. 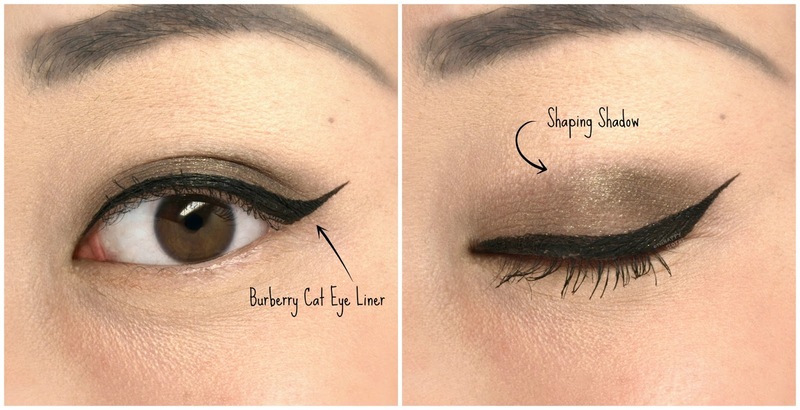 Burberry | Cat Eye Liner in "No. 01 Jet Black"
On the other end, you have a "shaping powder", which is essentially 0.5g of packed loose shadow stored in a small cap. The cap twists off to reveal a sponge-tipped applicator which is spring-loaded to ensure that the sponge is always dipped into the powder. The overall design of the product is very unique. As I will elaborate below, I am not a big fan of the shaping powder formulation but the idea behind the dual-ended design is convenient for travel and application on-the-go. 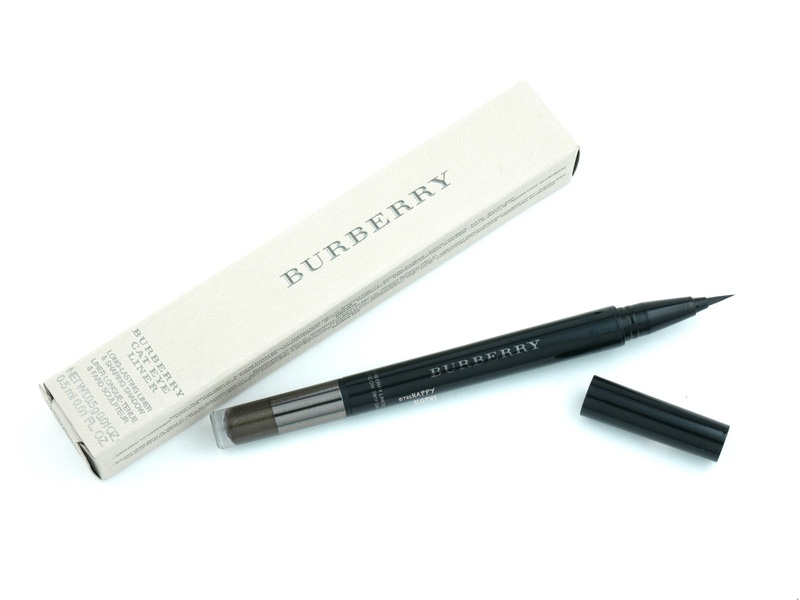 The Burberry Cat Eye Liner is available in two shade combinations and I have here "No. 01 Jet Black", which features an intense black liquid eyeliner and a semi-sheer khaki brown loose shadow with a gorgeous golden sheen. The liquid eyeliner is very well-formulated; the pigmentation is amazing so the liner is virtually opaque in just one swipe. 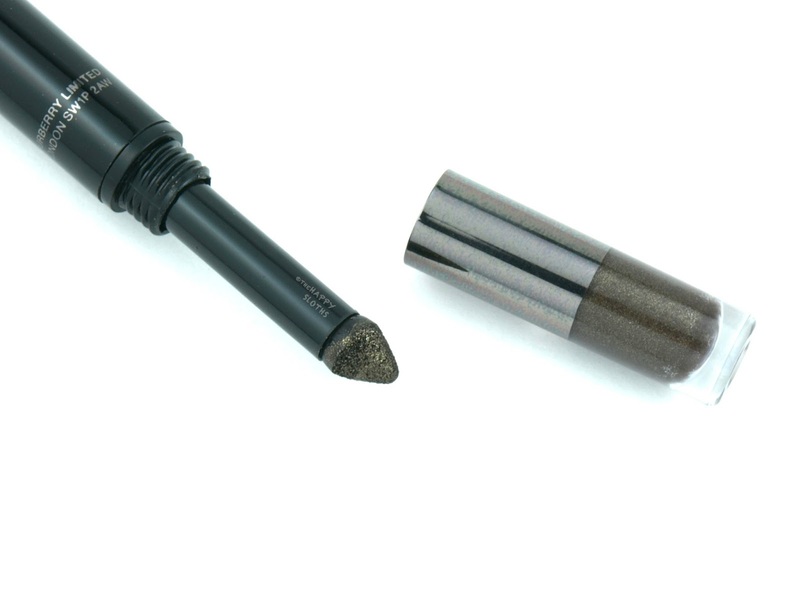 However, the formulation does set pretty quickly, which is usually a plus but in this case, it results in the brush tip "drying up" during application. I end up having to swipe the tip on the back of my hand a couple of times to encourage more ink to flow out. In terms of wear, the liquid eyeliner is pretty good. Burberry touts a waterproof formulation but the eyeliner does smudge when wet. With that said, under normal circumstances, the liner is pretty long wearing with only minor smudging at the end of the day. Now, let's move onto the khaki "shaping shadow". First of all, I think its inclusion is great because sometimes when you are in a rush, all you want is to quickly blend a color all over the lid before drawing a winged liner. Therefore, this saves you the effort of pulling out a separate product from your drawer. However, the formulation of the shadow is not very impressive. For starters, because the sponge-tipped applicator is spring-loaded (it retracts when the cap is replaced), it doesn't seem to pick up as much product as I would like. Additionally, the shadow is patchy. I have trouble getting a seamless blend so the finish looks pretty uneven (click on the image below to get a closer look). All in all, I think this is a pretty good product! Despite the non-waterproof formulation, I am very much in love with the liner as the applicator is super precise and the pigmentation incredibly opaque. Lastly, although the powder shadow is not great, it will make do if I'm really in a pinch! 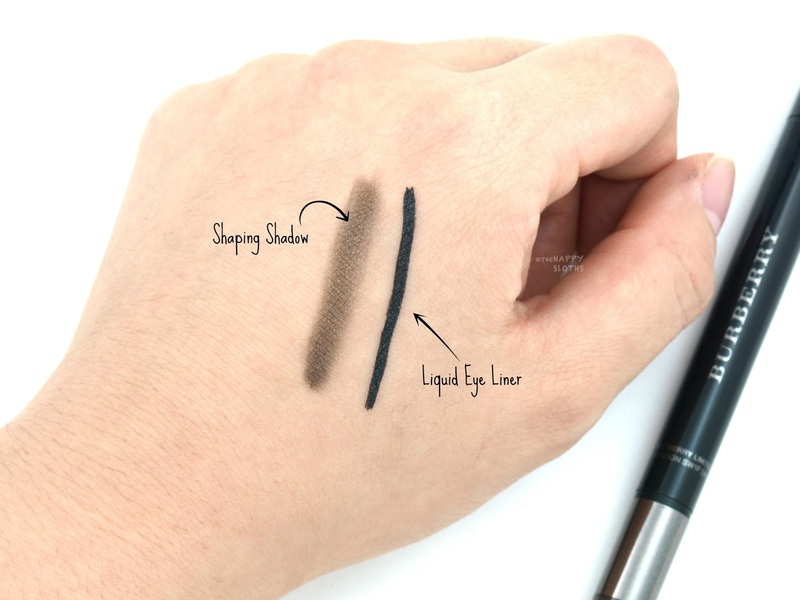 So, what are your thoughts on this 2-in-1 liquid eyeliner? Are you a fan of multi-purpose, travel-friendly products like this? Let me know in the comments below!